With this year’s Super Y-League season already begun and the busy summer soccer season around the corner for our collegiate players in our Under 23 Program, the Boca Soccer Wire will provide weekly information and updates on the progress of our teams and players, highlights of their accomplishments as well as spotlight any special events that may occur throughout the season. This is our first edition for 2004. 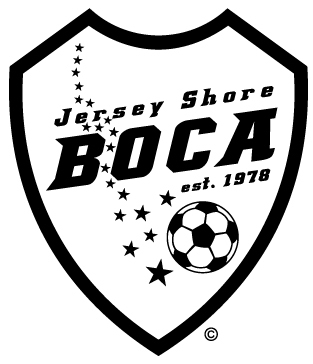 Welcome to the first edition of the 2004 Jersey Shore Boca Soccer Wire! With this year’s Super Y-League season already begun and the busy summer soccer season around the corner for our collegiate players in our Under 23 Program, the Boca Soccer Wire will provide weekly information and updates on the progress of our teams and players, highlights of their accomplishments as well as spotlight any special events that may occur throughout the season. The Jersey Shore Boca Soccer Wire will be published each Tuesday and will recap the previous week’s events within the Club. Coach Wolf Finger and the Boca U19 SYL team kicked-off their 2004 Super Y-League season with a tough 3-0 road loss to cross state rival, the South Jersey Barons on Wednesday night in Winslow Township. Although being on the losing end of the scoreboard, the U19s had several opportunities to put away a goal, but could not find the back of the net. “We had a few good chances that could have changed the game around a bit, but could not capitalize on them” mentioned Coach Finger. “The Barons were well coached and played well. We will get to see them again next week and should do a better job against them” he concluded. The Boca U19s were without the services of sweeper Roger Samartino (South Harrison, NJ) last week due to injury. Samartino, a 2003 SYL Regional Pool Selection, attends Kingsway Regional HS and should be ready for the U19s next match. In addition to a second meeting with the Barons on Wednesday night at the Manchester Soccer Complex, the Boca U19s will take on the U-18 NJ State ODP team in a friendly match on Tuesday night at Ft. Dix. Coach Bill Carroll and the Boca U14s took on a tough Super Nova side from Harrisburg, PA on Sunday afternoon at the Manchester Soccer Complex in their first SYL game of the 2004 season. After full regulation time, the Boca U14s secured their 1st win of the season besting Nova 3 to 2. The Boca U14s next travel to face the Parsippany SC on Tuesday May 25th. Boca’s youngest Super Y-League team, under Coach Kirk Pericciuoli also had their hands full against their counterparts from Super Nova in their SYL home opener on Sunday. Although the U13s had some good opportunities, they could not finish their chances. Nova came away with a 4-1 road win. Next up for the U13s in SYL action is a road trip to also visit the Parsippany Soccer Club on Thursday May 27th.